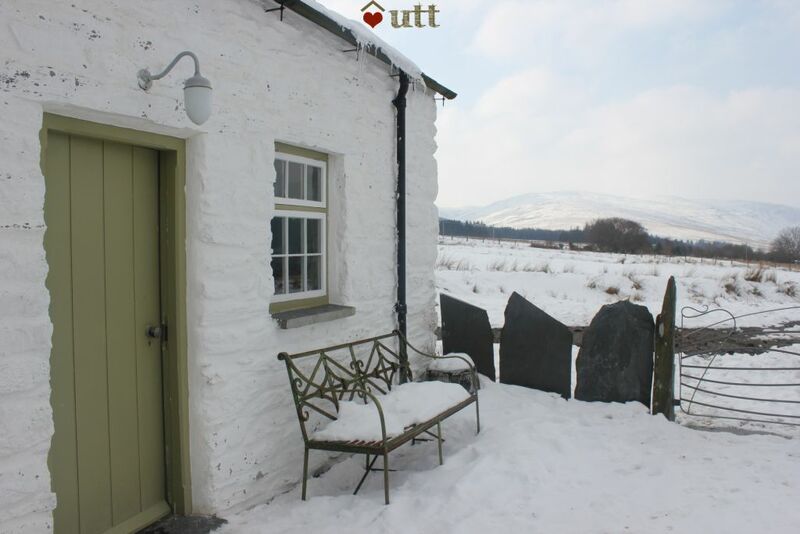 Blaen-y-Buarth is a stylish yet traditional cottage in the heart of the Snowdonia National Park. 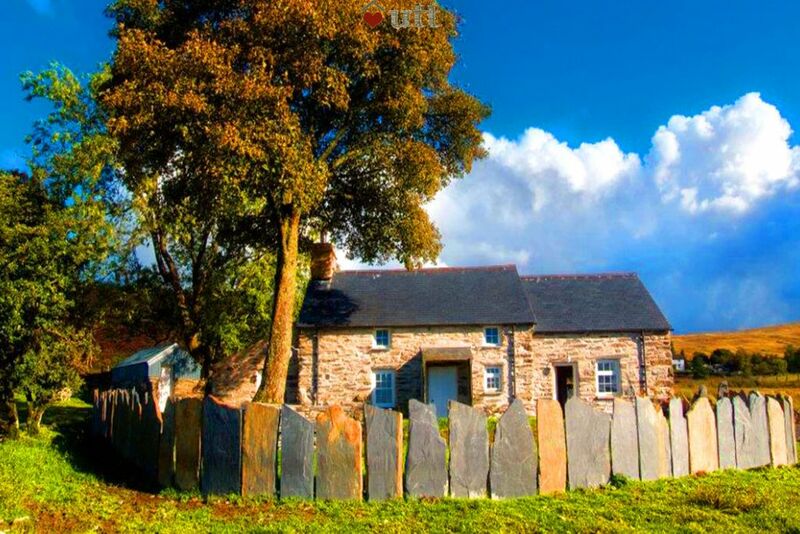 High above the remote Machno valley, it boasts innovative use of local slate. 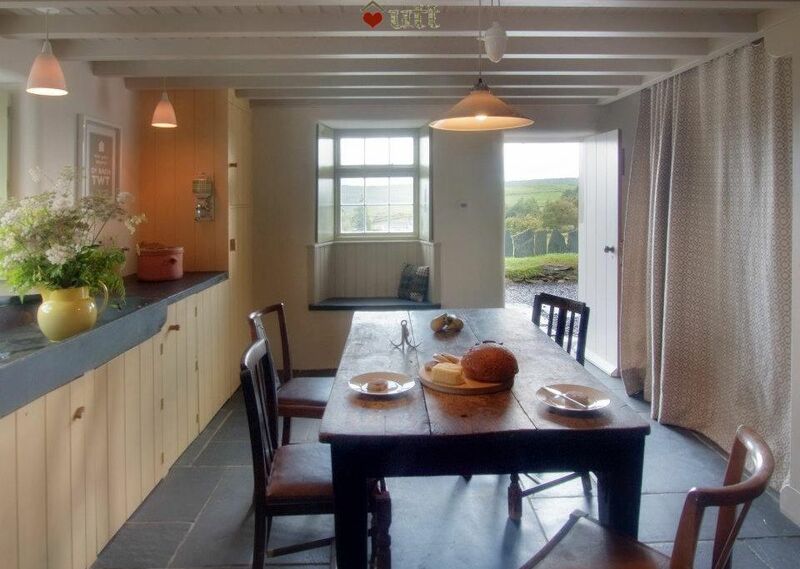 An interior warmed by vintage and modern Welsh wool with underfloor heating throughout. Already featured in BBC1 Empty Homes series and S4C 's "Cartrefi Cefn Gwlad Cymru" (Welsh Rural Homes) it has been acclaimed for its "honest and modern approach to conservation". Despite the cosy interior, eyes are invariably drawn to the mountain views which appear at every window. The good sized garden welcomes with a firepit, chill-out seat, swing and hut to store your mountain bikes and boots. 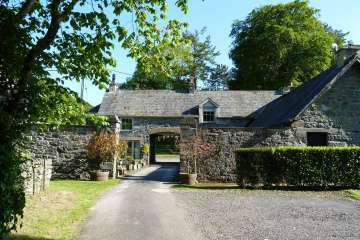 Located in its own 7 acres and accessed by a private lane it is still within walking distance of the local pub and only 4 miles from Betws-y-Coed. Blaen y Buarth has been a magical escape for the owners since 2008 and is now also a home from home for many of our returning guests. Our guest book is packed with 10 years of adventure suggestions, many of which are on foot from the cottage. No WiFi - but there is a good 4G phone signal. 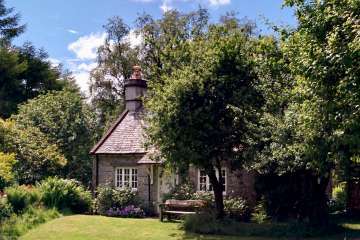 Fabulous cottage!! Beautiful both inside and out - wow what amazing views! Very comfortable beds! Perfect launch pad for walks/scrambles. Can’t wait to come again!! 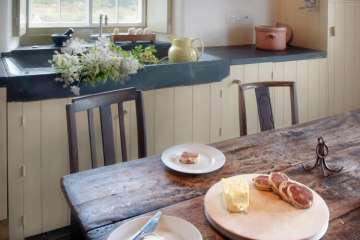 Open plan Kitchen /Dining room - Truly a room with a view with a large wooden kitchen table, deuddarn oak cupboard, and slate sink. Equipped to entertain, with induction hob and all the luxuries you'd want at home apart from a microwave - left out to encourage home cooking! Washer drier and dishwasher, Fridge / freezer box, Tripp Trapp highchair. Access to the garden. 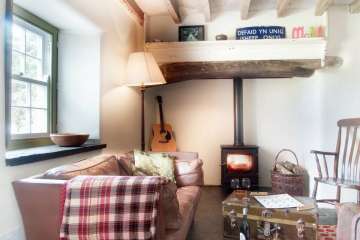 Cwtsh or Snug- A cosy seating area for reading or watching DVDs or TV - Views to front and back of the cottage. 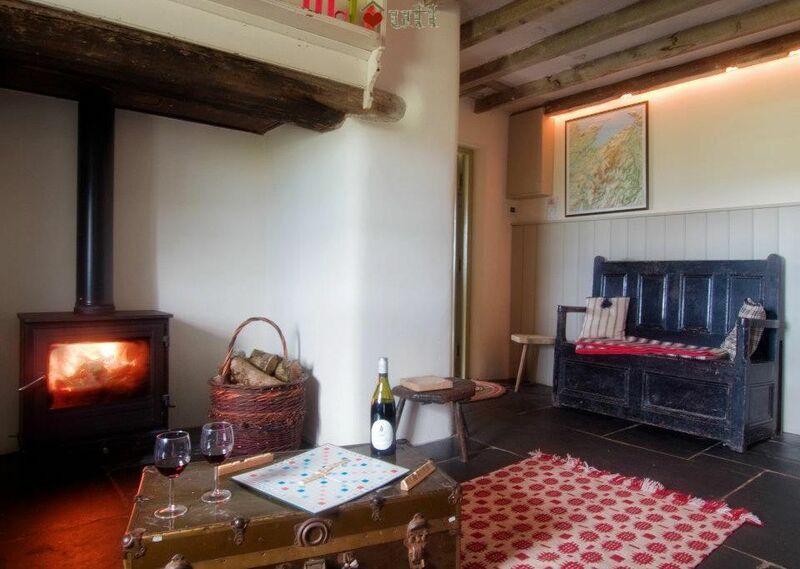 Parlwr or Lounge- Open Plan area with vintage leather mid-century sofas - around a wood burner set in the inglenook. 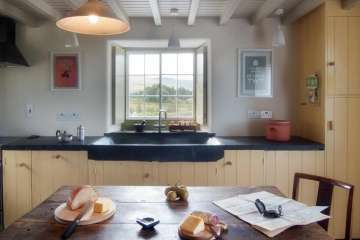 Sash window to the panoramic view of Machno valley and Carneddau mountains beyond. 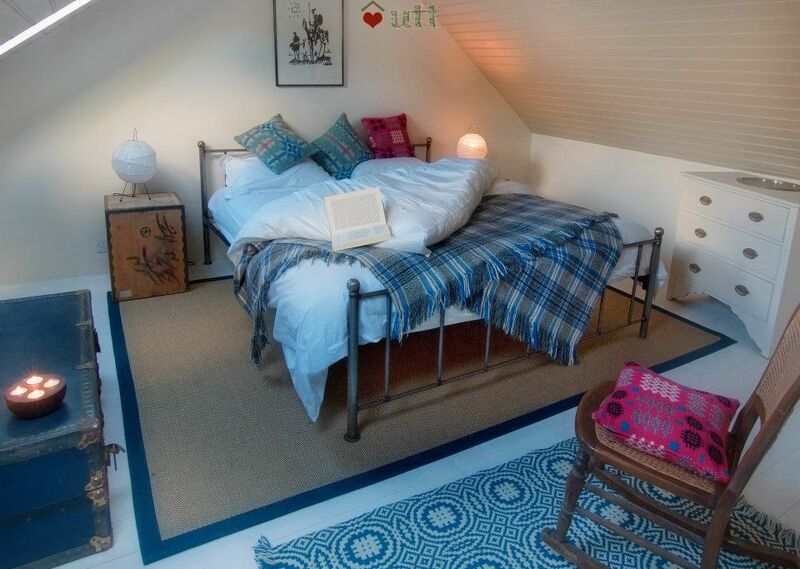 Bedroom 1- A large bright room with its own staircase - Modern Super Kingsize bed with Egyptian cotton and memory foam mattress. 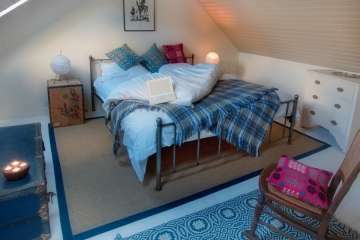 Bedroom 2 - Delightful twin room - 2 single beds with Egyptian cotton and memory foam mattresses. Window at floor level to front elevation. Windows Child safe. Restricted headroom in parts and open plan to staircase. 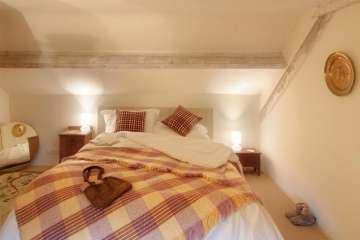 Bedroom 3 - Restful Kingsize bed with Egyptian cotton and memory foam mattress draped in Welsh blankets. 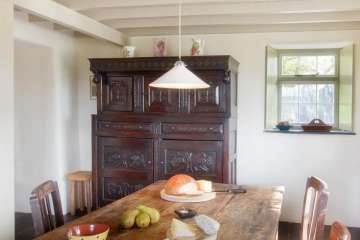 Small fireplace and small window at floor level to front elevation. Window childsafe. Hair dryer. Restricted headroom in parts. 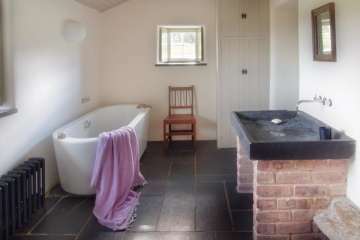 Bathroom - Large room with modern freestanding bath, wet room style slate shower with underfloor heating, and slate sink. Views to side and rear. Access to the garden. Porch - Slate slabbed porch over front entrance with room for coats and wellingtons, with access to Cwtsh and Parlwr. The cottage is heated via a ground source heat pump providing underfloor heating but also has a wood burning stove in the living area for extra cosiness. 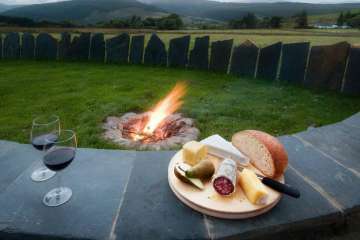 Outside- There is a fire pit and chill-out seating area with views of Cwm Penmachno, Moel Siabod and the Carneddau and Glyder range beyond. Great for sunsets and star gazing. 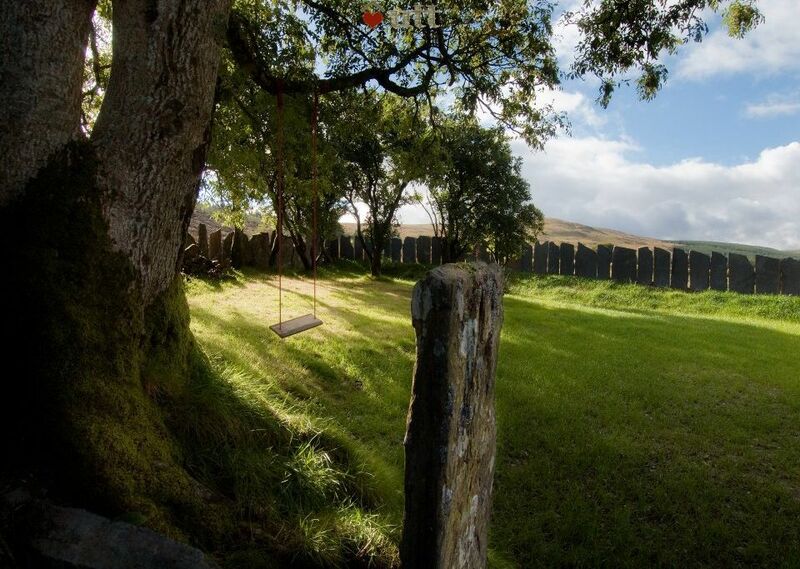 Enclosed garden, plenty of parking space and a lockable hut with plenty of room for mountain bikes. Zipworld attractions which include Velocity, Titan and Caverns, Bounce Below, Treetop nets, Skyride and Plummet. All of the above attractions being within 10 - 35 minutes of the cottage. 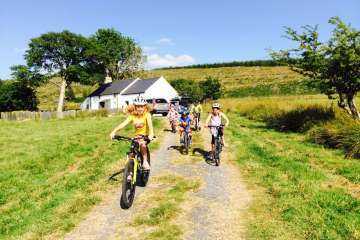 Mountain biking from front door to Penmachno trails or 10 mins from Betws y Coed Marin trails and 35 mins from Coed y Brenin trails. Bike hire available at Betws y Coed (Beics Betws) and Coed y Brenin. Spectacular location and cottage. Fantastic views that we did not want to leave at the end of the week. 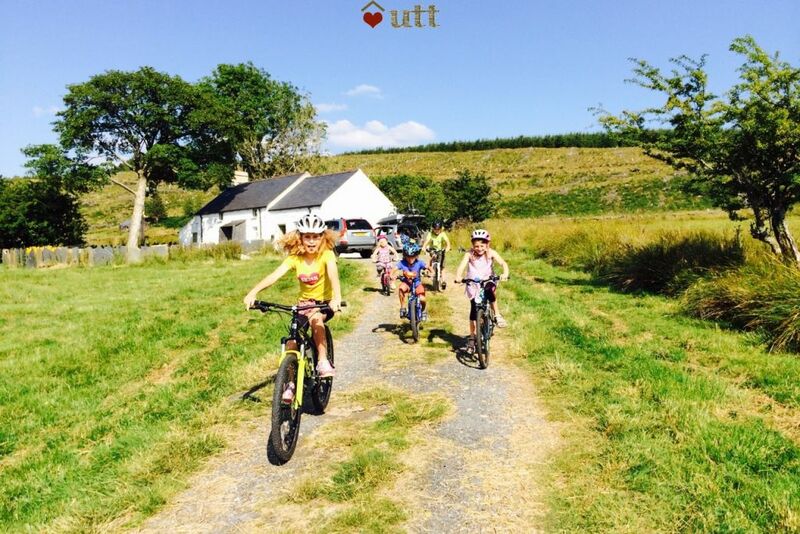 Mountain biking and great walks on the doorstep, cosy fire of an evening, just perfect, we will definitely be returning to Blaen y Buarth soon. Beautiful views and dramatic scenery in a peaceful spot on the side of a hill facing west to the evening sunset, this authentic Welsh cottage has been thoughtfully furnished with local furniture and textiles. Both comfortable and stylish. There are a lot of beatiful and varied walks and mountain bike trails in the valley, as well as a lot to discover further afield. We really enjoyed our stay at Blaen Y Buarth. The cottage is in the most beautiful setting and so calm and peaceful. 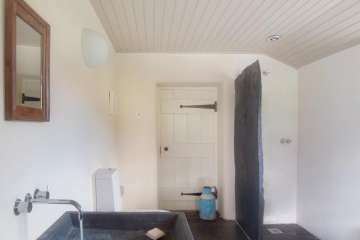 The place itself has everything you need with added bonuses of a brilliant shower and really good quality fire top keep you snug. We only spent 3 nights but managed a walk along the Carneddau range (25 minute drive) and another from the door towards the village of Ysbyty Ifan along tracks and paths. Would love to go back. Just spent a fabulous Xmas at this beautiful cottage. The views are stunning and the enclosed garden was perfect for our dog. 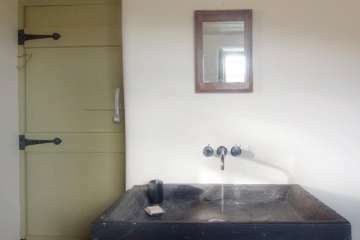 The owners have thought of everything for their visitors comfort. A welcome basket of goodies was a generous and thoughtful gesture. We visited the nearby village of Betws-y-Coed where there is a nice woodland walk near Pont-y-Pair and a short drive, another day, took us to the foothills of Snowdon. However the main reason for our visit was rest and relaxation and we certainly found it at Blaen y Buarth. We will definitively be back. 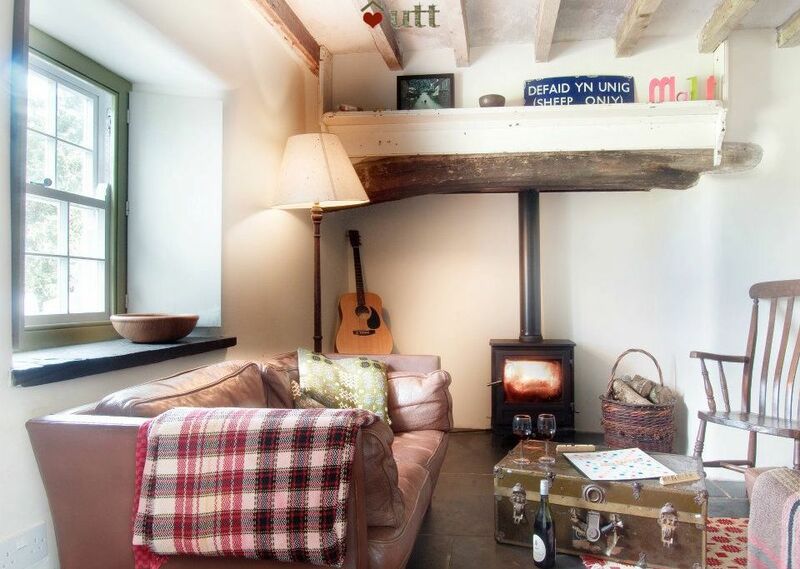 We absolutely loved the simple charm and design of this warm and cosy cottage. It was a lovely place to recharge our batteries. The beds are warm and comfortable . The kitchen has all you need for simple meals. Loved the local beer kindly left for us to sample. The area is stunning with plenty of good walks. Make sure you visit the Conwy Falls Cafe . Recommend thoroughly reading arrival instructions as difficult to find in the dark. Also recommend picking up extra logs or ask for more before you arrive. 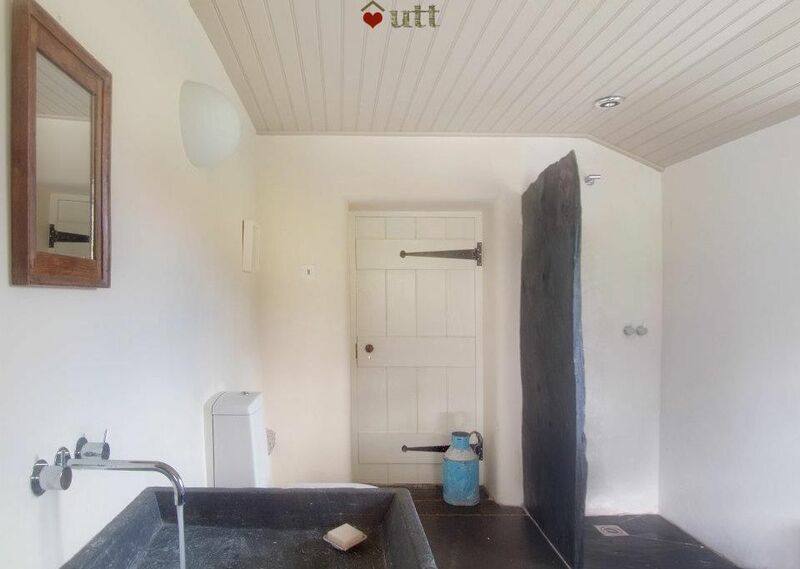 Throughly recommend this cottage. Great cottage, great location ... we simply loved it! Wow!! What a great holiday we’ve all had! 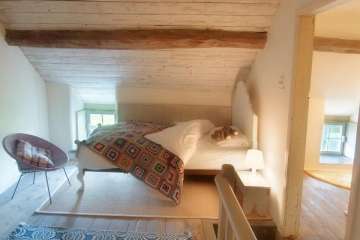 The cottage had the best views and was gorgeous, the most comfortable beds too! I’m usually looking forward to going home after 5 days but wish we’d stayed for two weeks instead of one. So much to do in the area . Thanks very much for sharing this special place. 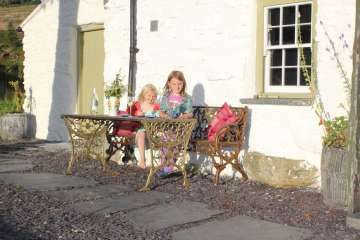 One of the best holiday cottages we have ever stayed in. 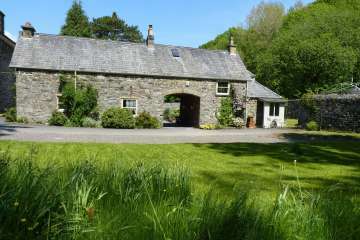 Amazing location, with peaceful open views, surrounded by nature, and a great location for exploring all the parts of Snowdonia. 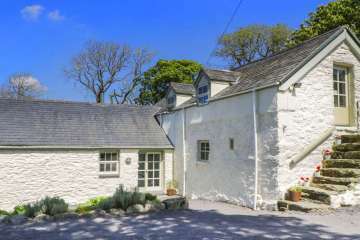 The cottage itself has been lovingly put together, a perfect blend of modern and traditional, furnished with stylish Welsh woollen textiles and lovely antique furniture. A gem of a place! 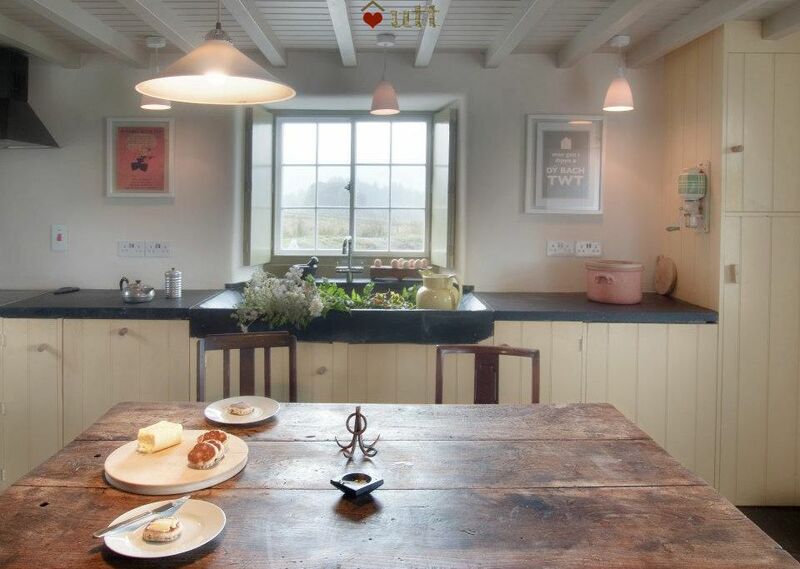 Absolutely outstanding cottage which was a beautiful blend of traditional and modern. Amazing scenery and views which were out of this world. Will very definitely be returning! 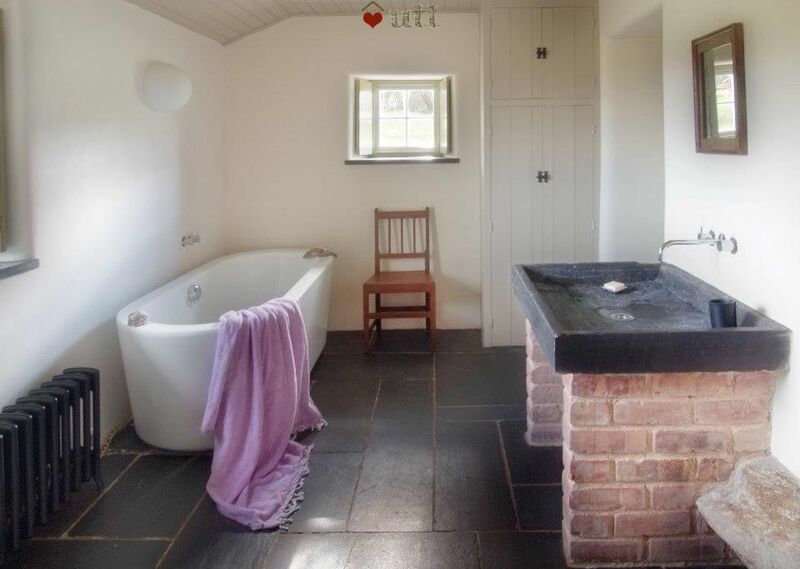 I booked this cottage as a surprise weekend break for my Husbands birthday, and it certainly didn't disappoint. We arrived late on the Friday night, so hard to appreciate our surroundings, however the cottage was super cosy, warm and gorgeous! A small welcome gift was a nice surprise, and we just loved the use of slate throughout. Waking up to spectacular views on the Saturday morning, confirmed what a gem this place really was. The surrounding area, breathtakingly beautiful and picturesque, which on a weekend of very changeable and snowy weather, we really did experience the best of the landscape had to offer. Highly recommended, a retreat everyone needs to experience. 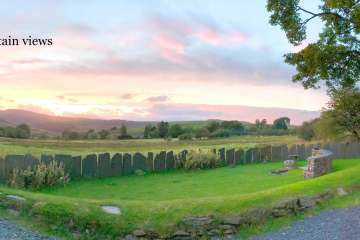 We have just come back from a week at Blaen y Buarth cottage (October 2017) and it was beautiful! The four of us stayed comfortably and it was lovely and cosy and well-equipped which made it enjoyable even on the wettest days! We loved the little touches like coffee in the grinder and a welcoming bottle of wine also. Thanks again for restoring such a great property that has real soul! - we will be back! Simon and Sharon. A group of friends and I stayed for a long weekend and used it as a base for hiking. It is a beautiful cottage, the beds are lovely, and everything has been thought of!! Amazing location, and we shall be back. 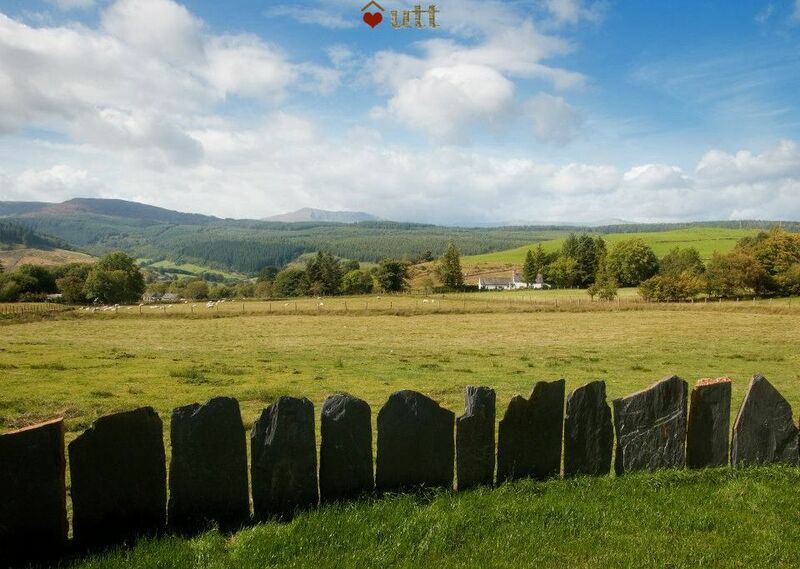 Wow, what a fantastic place Blaen y Buarth is. 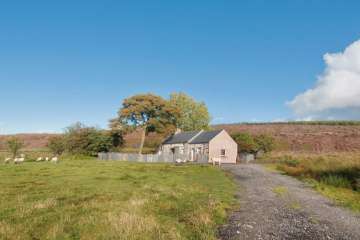 The cottage is in a fantastic situation high up on a hill with great vistas looking west. Inside, the cottage had everything we needed, and I enjoyed some of the little touches, such as the coffee grinder being provided with fresh coffee beans, Thank you so much, we had a great stay. 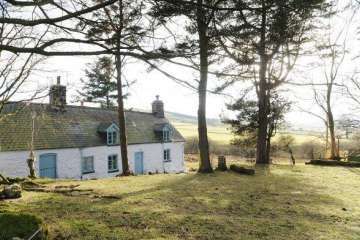 This cottage is quiet and rural without feeling too isolated. The interior is simple with lovely materials. It has everything for a great getaway. 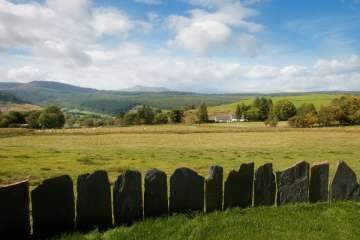 It is close to the amazing Penmachno bike trails and Snowdon. We all had a good weekend, enhanced by the accommodation. 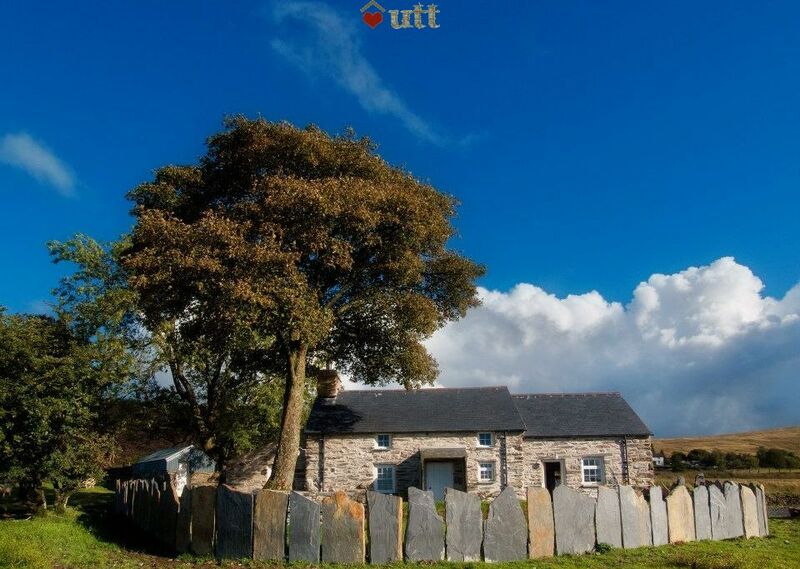 A beautiful, authentic Welsh cottage, in the most breathtaking setting. We were expecting a lot and were not disappointed. A fantastic holiday enjoyed by all of us. 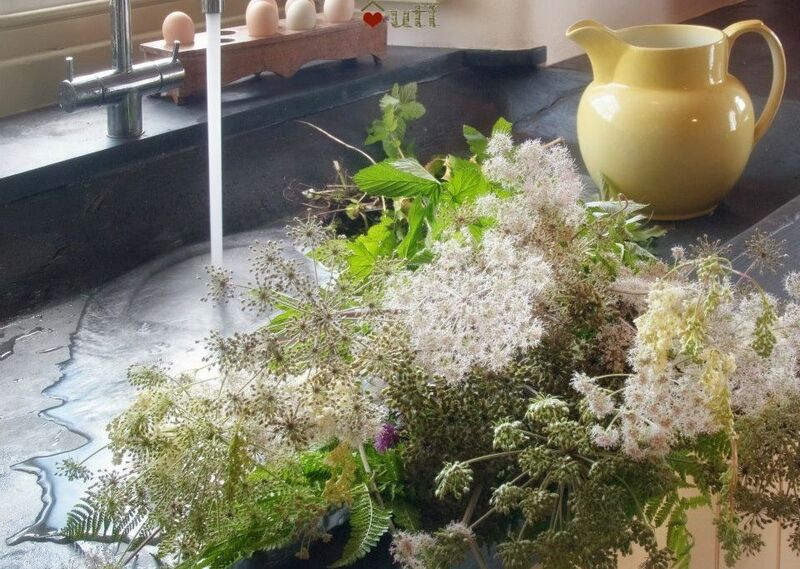 Lle bach arbennig! Cysurus, a thir a thirwedd hynod. Byddwn yn sicr o ddychwelyd! Wonderful cottage. Simple & stylish decor, warm throughout from the under floor heating and log burner and super comfortable beds. We loved the views of the hills and the lambs bleating outside the garden gate. Planning a return trip already. 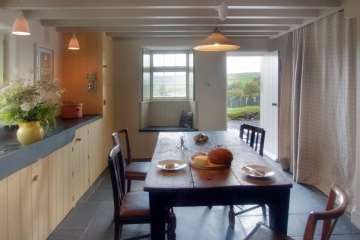 Lovely cottage, great location - one to return to! What an amazing cottage, a welcome retreat from our normal busy lives! The views from every window were incredible and we loved the rustic and cosy charm. 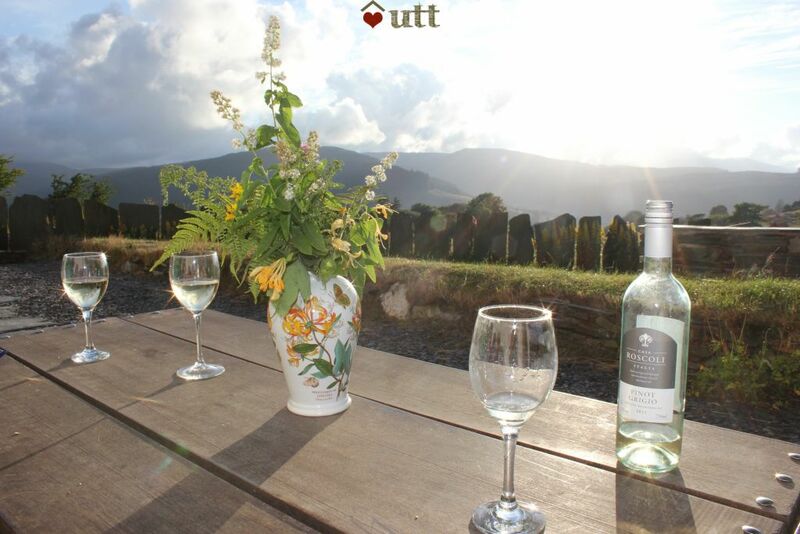 We are already planning our next holiday with UTT. Thank you very much! Second time for us. A charming cottage with a stunning view. We had such an amazing holiday we really want to go back. We fell in love with the cottage and the surrounding area. 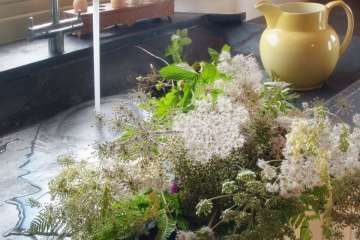 It was a magical break and our children didn't seem to miss the wi-if at all because they were too busy playing in the garden or doing one of the many brilliant activities which were on our door step. 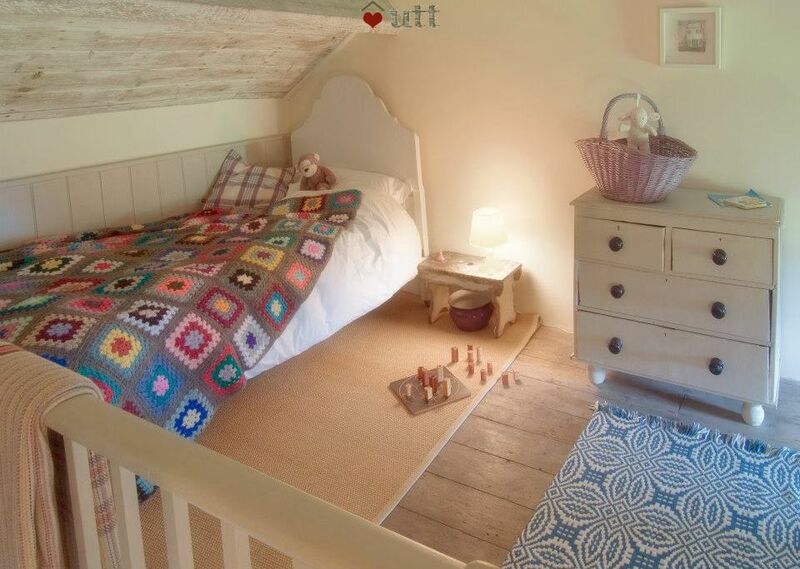 We loved this cottage. 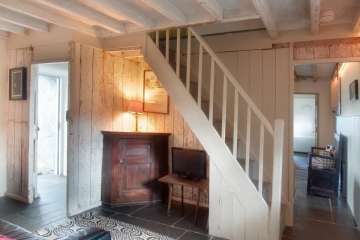 You can really imagine what living here would have been like before the cottage was restored. Fantastic views. Remote and exposed, but very cosy inside. 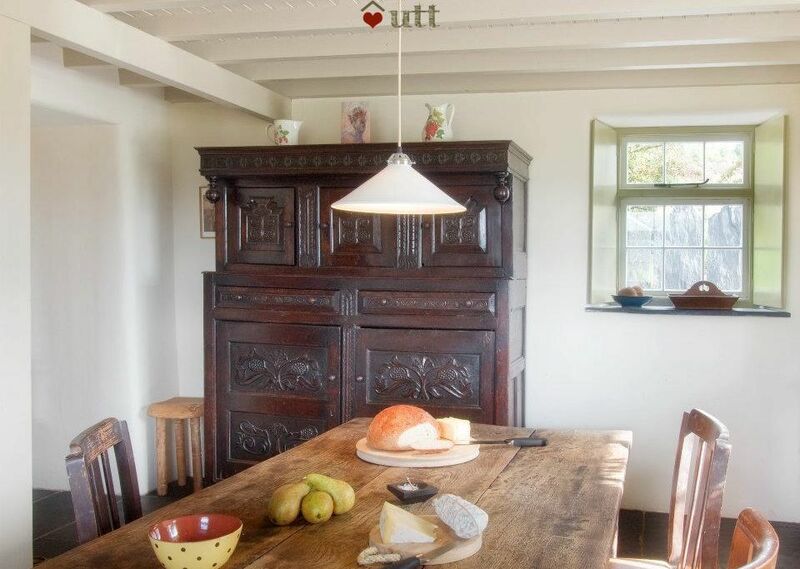 Nice big kitchen table for family meals. Comfortable beds. 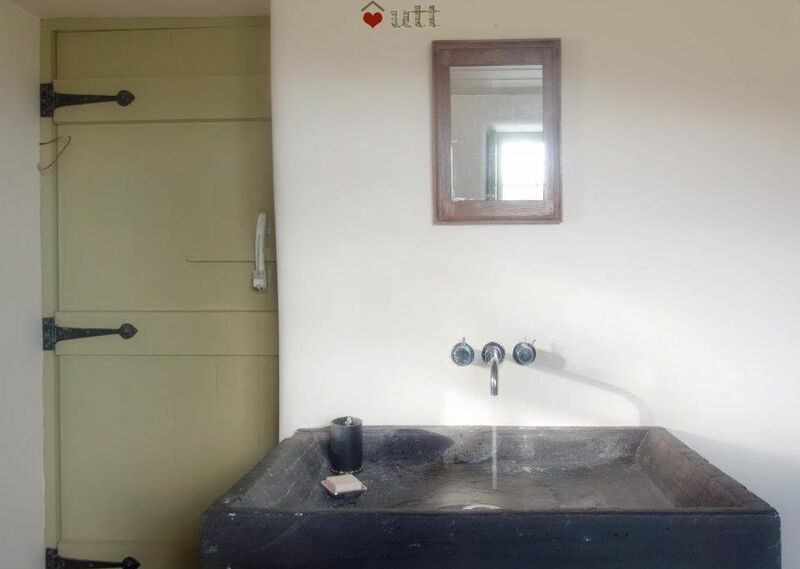 Lovely bathroom (loo with a view!). We did not use the TV after the first day - too much to do and see! Plenty of books and some games to keep us entertained by the log burner in the evenings. Without wifi we discovered that my 13-year old son actually has a personality! Fantastic short break -thank you!